"Spergularia Rubicola" . A Perennial, evergreen, mat-forming wildflower. Thin fleshy, narrow, pointed leaves and masses of tiny pink flowers . 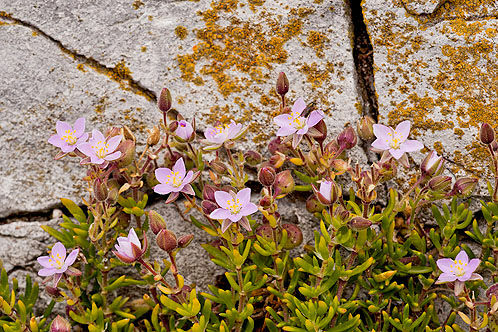 It grows on coastal cliffs , sea walls and broken up rocky areas .